Stony corals are the main reef builders of the planet and responsible for some of the oceans’ most beautiful architecture. However the processes behind their skeleton mineralisation are of some debate. Skeleton formation occurs at the interface of the coral tissue and the skeleton. This area is rich in proteins that are able to bind to water and has the properties of a highly viscous sol. Also observed at this interface is an amorphous organic membrane, which possibly acts as a colloidal gel matrix. Aragonite (a polymorph of CaCO3) precipitates out of seawater directly at this interface and is controlled by the organic gel matrix. Ionic concentrations are also believed to play a part, with high concentrations of Mg2+ favouring aragonite precipitation. A recent article in CrystEngComm investigates how the organic matrix and the level of diffusion of Mg2+ affects the precipitation of CaCO3 . The authors of the article extracted two matrices from two different species of coral (differing in their reliance on photosynthetic algae) and placed them in a highly viscous agarose gel/sol. They then transported CaCO3 through using a counter diffusion system (CDS). Interestingly, they discovered that the different molecular compositions of the matrices resulted in different morphologies and crystallisation conditions which they suggest is due to the symbiotic relationship some corals have with photosynthetic algae (which provide the main energy source for calcification). We now know that the presence of Mg2+ has a large effect on the conditions needed for supersaturation in the medium as well as the phase selections of CaCO3 . The use of CDS has allowed coral biomineralisation of these two coral species to be studied in vitro for the first time. 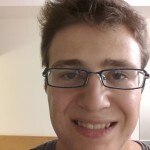 Josh Campbell is a PhD student, currently at the University of Southampton, UK studying crystal structure prediction of organic semiconductors. He received his BSc from the University of Bradford. The China-India-Singapore symposium series on “Crystal Engineering” was conceived with the idea to bring together researchers working in the field of crystal engineering from the countries China, India, and Singapore. This symposium series was aimed to discuss and acknowledge recent advances in the field of crystal engineering happening in the south Asian region. The first China-India-Singapore Symposium on Crystal Engineering (CISSCE) was held at National University of Singapore (NUS) from 30th July – 2nd August, 2010. 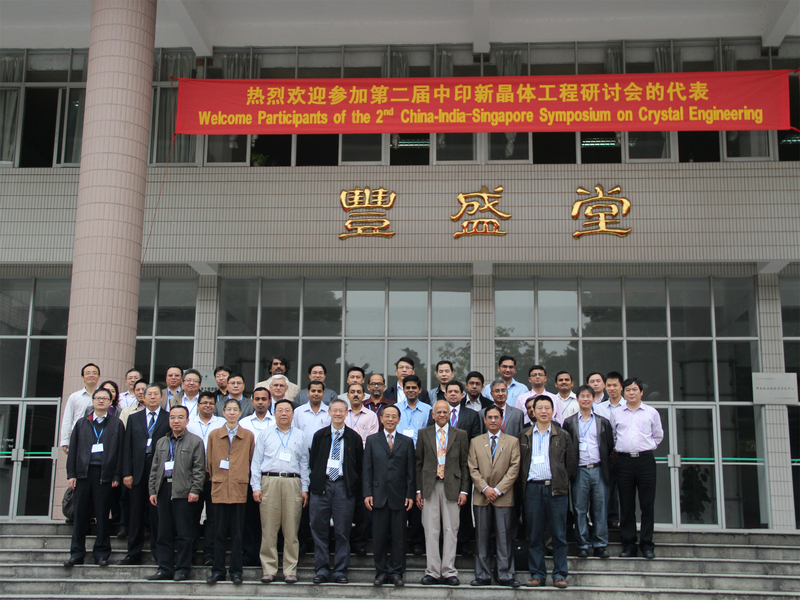 The 2nd China-India-Singapore Symposium on Crystal Engineering was recently held at Guangzhou, China during 20th – 23rd November 2012. A total of 37 researchers from China, India and Singapore presented their work highlighting recent deveopments in the fields of organic, bioorganic, metal organic hybrid (metal complexes and coordination polymers), pharmaceutical and organic-semiconductor materials achieved through the applications of crystal engineering. This report is an attempt to provide the reader with a glimpse of some of the recent research work undergoing in various laboratories in China, India and Singapore in the field of crystal engineering that was discussed in the symposium. Download Dr Tejender Thakur’s full report here. It wasn’t so long ago when Plaster of Paris was used for plaster bandages when a patient broke their arm or leg. Nowadays, synthetic polymer materials tend to be used for such purposes but Plaster of Paris still finds wide use for building materials. When Plaster of Paris (also known as bassanite or for those of us chemists not so familiar with this material, CaSO4.1/2H2O) is mixed with water, the less soluble compound, gypsum is formed (CaSO4.2H2O). This precipitates out of solution to produce interlocking, needle-like crystals. There have been many studies looking into this crystallisation reaction, however most real-life applications rely on crystallisation onto a solid support and as such, the studies to date are arguably not so industrially-relevant. Now, in their latest CrystEngComm article, Stephen Mann and colleagues from the University of Bristol report on Plaster of Paris crystallisation onto inert films of cellulose. They found that the films can be made active by pre-treating them with a solution of Ca2+. Mann et al. say that such pre-treatment may have important implications for using Plaster of Paris materials in a wide range of industrial applications. In their latest CrystEngComm Communication, Yadav and Gorbitz have endeavoured to restrict the modes of hydrogen bonding by substituting with TBD (see below). TBD has only 2 N-H donors which is much more manageable for these purposes! They partnered the TBD with dicarboxylic acid, 2,2′-bipyridine-5,5′ dicarboxylic acid (BPDA) to form a 2:1 complex. Additional acceptor sites at the carboxylate lone pairs means that 4 water molecules can co-crystallise along with the structure, leading to extended water channels or open organic networks containing clusters of water. Researchers from China have designed coordination frameworks which exhibit varing levels of luminescence when exposed to air of different humidities. The porous terbium-based metal organic framework reversibly absorbs/desorbs water molecules into its structure. When additonal water molecules are coordinated to the framework, the compound emits a bright green colour (easily detectable by the naked eye) – the result of a reduced O-H vibrational quenching in the complex. Co-crystallisation is an important tool for establishing the importance of intermolecular interactions in the solid state. One strategy adopted by Christer Aakeröy and his team at Kansas State University is to examine whether crystallisation of two molecules results in a homomeric interaction (essentially recrystallisation) or a heteromeric interaction (co-crystallisation). Combining 2-aminopyrazine derivatives with numerous carboxylic acids, the team discovered that they could attribute the success of co-crystallisation with electrostatic charges on the hydrogen bond acceptor sites – as they predicted, the lower the charge, the lower the supramolecular yield of the reaction. Although hydrogen bonding is a fundamental concept taught to us in the classroom, we still have a lot to learn! 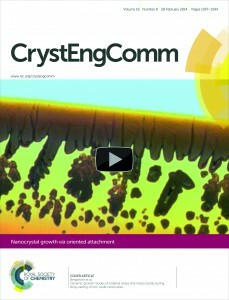 Submissions are now open for the CrystEngComm themed issue: Halogen bond: From self-assembly to materials and biomolecules. The themed issue due to be published in 2013 is being guest edited by William Pennington (Clemson University), Giuseppe Resnati (Politecnico di Milano) and Mark Taylor (University of Toronto). We are looking for manuscripts focused on theoretical and experimental studies of the physical, chemical, and biological phenomena and processes related to the design, growth, and application of crystalline materials wherein halogen bonding plays a key-role. If you think you have something suitable then why not submit now or contact us for more information. All manuscripts must be in accordance with CrystEngComm’s author guidelines and scope and will be peer-reviewed in the usual way. Inclusion in the themed issue is at the discretion of the guest editors. 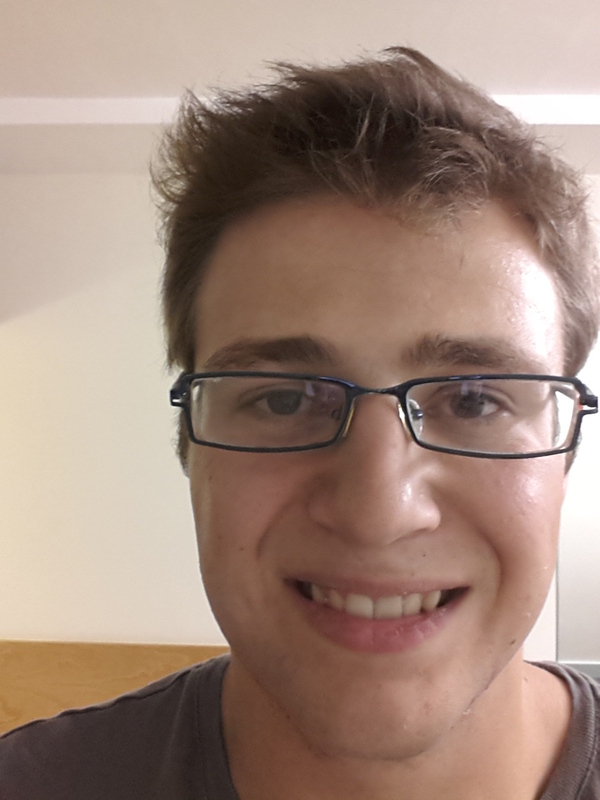 Last week I attended the Gordon Research Conference in Crystal Engineering. This was my first GRC and I loved it! The meeting was held at Waterville Valley Resort in New Hampshire, USA which can be best described as something the Disney resorts would use to model their wildnerness lodge areas. The looming hills, rivers, New England-style cabins and prowling bears (unfortunately I didn’t spot any!) were the perfect backdrop to a meeting filled with excellent science and a great chance for colleagues from across the globe to catch up. This year the conference was chaired by Robin Rogers (University of Alabama and Crystal Growth & Design Editor in Chief), with Vice Chairs Christer Aakeröy (Kansas State University and CrystEngComm Associate Editor) and Mike Zawarotko (University of South Florida and Crystal Growth & Design Associate Editor). Following the two and a half hour coach journey from Boston, we were rushed into dinner which was quickly followed by the first of the evening lectures, marking the beginning of the meeting. The first session was nanocrystal-based with talks given by Helmut Coelfen and Christoph Janiak on using ultracentrifugation to analyse nanoparticles and ionic liquids to stabilise nanoparticles, respectively. After kick-starting Day 2 with the obigliatory American waffles and maple syrup, I joined the morning session to hear Jennifer Swift deliver her presentation, providing insight into in vivo uric acid precipitation. Next up was Kraig Wheeler who described his recent work investigating quasiracemates, followed by Miguel Garcia-Garibay’s talk on performing photochemical reactions with nanocrystals. The evening session was of much more relective nature with Joel Bernstein looking back over the seminal work from the past decades. Gautam Desiraju talked on polymorphism, highlighting some of his recent nanoidentation work published in Chemical Science (see here for more). Tuesday morning was dedicated to porous materials – Lee Cronin and Arunachalamr Ramanan delivered presentations on polyoxometallates and Shengqian Ma gave an overview on his latest work on metalloporphyrin frameworks – whilst the evening session was focused on conducting materials with talks by Marc Fourmigué and Hiroshi Yamamoto. Poster sessions were held throughout the week and were a true reflection of the quality and the diversity of the talks. 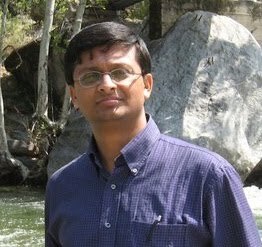 The CrystEngComm poster prize was awarded to Sajesh Thomas from Professor Guru Row’s research group at the Indian Institute of Science, Bangalore. His poster was entitled “Chalcogen Bonding in Crystal Engineering: Its Directing role in Isostructurality and Polymorphism.” Well done Sajesh!